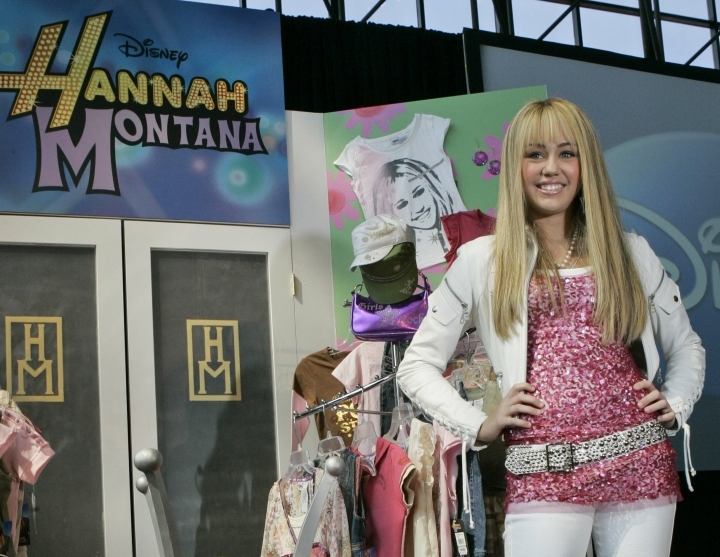 LOS ANGELES — Costumes, props and tour items from the Disney Channel's "Hannah Montana" TV series are going up for auction. The teen sitcom featured Miley Cyrus, who portrayed schoolgirl Miley Stewart by day and international pop star Hannah Montana by night. It helped launched Cyrus' career and the franchise included albums, films and concerts. Highlights of the auction include items from Cyrus's Best of Both Worlds tour such as a black satin jacket, pink tank top and customized high-top sneakers. There are numerous costumes that she wore on the show, which ran from 2006 to 2011. Julien's Auctions announced Thursday all proceeds will benefit the Wilder Minds charity, which aids the world's at-risk animals. The auction will take place online and at New York's Hard Rock Cafe on May 18.